J. S. Bach's The Art of Fugue is a 2 CD recording of Bach's Art of Fugue along with a DVD feature-length documentary and detailed filmed lecture produced and released by Fugue State Films. The Art of Fugue set is available for purchase from the Fugue State Films website (UK site; payment in British pounds; U.S. buyers should specify NTSC DVD rather than PAL version), The Organ Historical Society Online Catalog (U.S. site; payment in US$) and Raven (U.S. site; payment in US$). 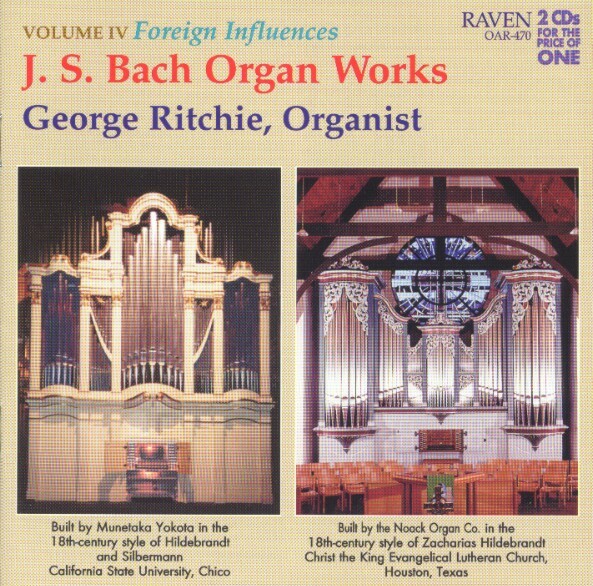 The two CDs in this set include a full performance of The Art of Fugue plus late Bach organ works associated with it. The DVD includes a feature length documentary putting The Art of Fugue into its historical and aesthetic context and an extensive lecture-demonstration about the individual pieces. The Art of Fugue is one of the greatest achievements of the human mind and a perfect blend of intellectual and emotional expression, with the individual pieces pleasing the mind and the ear in equal measure. It brings the European musical art of polyphony, the combining of independent melodies, to its highest point. 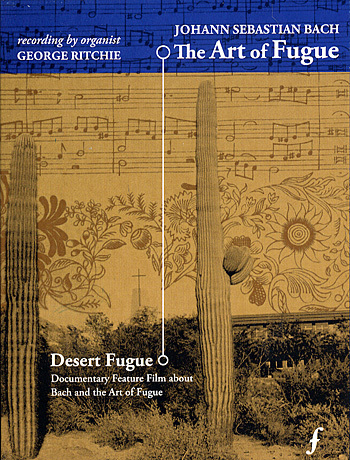 The DVD documentary, Desert Fugue (90 minutes), falls into three sections: the first about the history of the work, the second about its performance, and the third about its place in Bach’s legacy. Christoph Wolff, the world’s pre-eminent Bach scholar, is the major voice in the first and third sections of the film. Professor Wolff describes Bach’s composition of two versions of the Art of Fugue, demonstrates how the subject works, and offers the hypothesis that Bach actually did finish the famously incomplete final fugue, but that the ending has been lost. 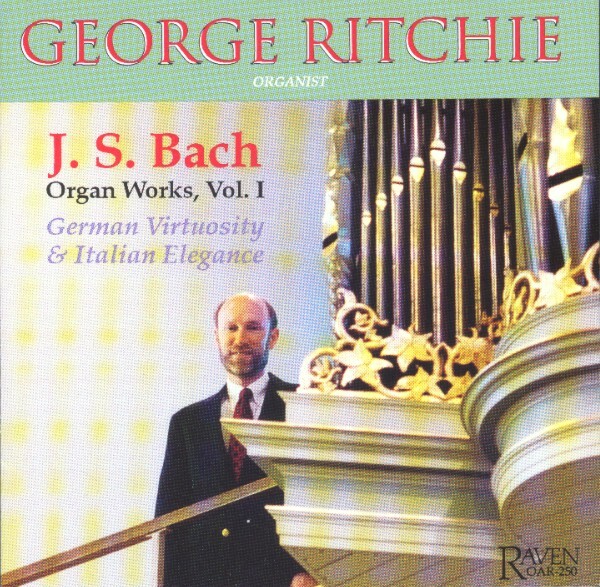 George Ritchie concentrates on the subject of performing the work on the organ. He is joined by Ralph Richards and Bruce Fowkes, the team who built the superb organ chosen for this recording. Inspired by eighteenth century Central German organs, this instrument has an extraordinary range of tone colours that allow each of the twenty fugues to be presented with a beautiful selection of stops. And because of its location in a church in the desert north of Phoenix, Arizona, the film includes beautiful desert vistas that contrast with footage from Bach’s own city of Leipzig, where Wolff is interviewed. 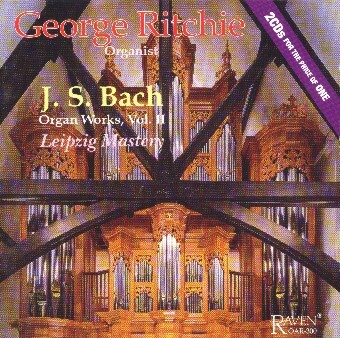 The filmed introduction by George Ritchie to all of the pieces in the Art of Fugue (111-minutes) discusses the full range of fugal techniques used in the work, illustrated with many examples from the score. The scope of information on the DVD makes it possible for the listener/viewer to gain an appreciation and intellectual understanding of The Art of Fugue beyond what is possible with any other recording of it currently available. 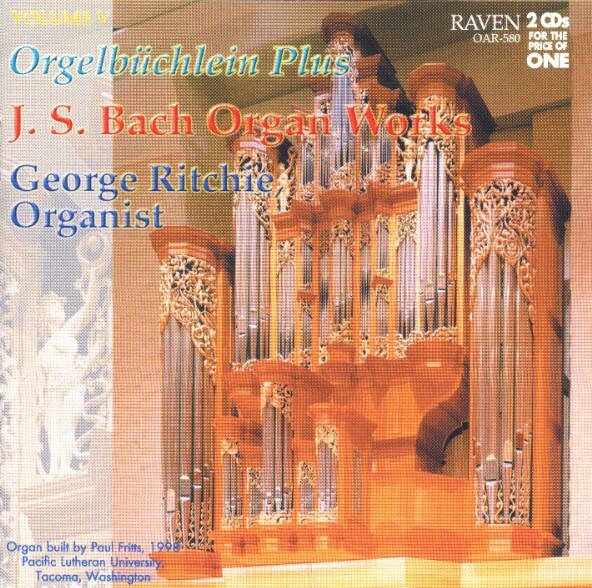 A booklet contains extensive notes by George Ritchie about the music, specifications of the organ, and a list of all registrations used. 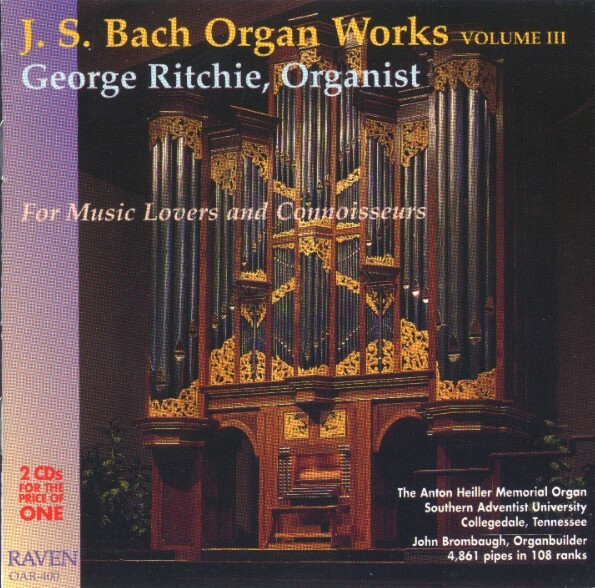 The two CDs include, in addition to the Art of Fugue, several late organ works by Bach. The production was conceived and produced by Will Fraser and Simon Still of Fugue State Films. ". . . a reference-level collection, it should be in any serious library, and should be reached for frequently. . ."